About Us:<br><br>We’re a company that builds fun, interactive and educational experiences at scale. At our flagship, Rosé Mansion, we are reinventing the experience of learning about and enjoying wine. Guests bound through a large, multi-sensory, 14-room wine tasting experience as they swing from gold chandeliers, jump in a Champagne ball pit, and custom blend their own glasses of wine. Along the way, guests learn about where the wine came from, who made it, and how it came to be (while sipping it, of course!). 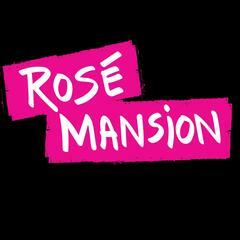 Rose Mansion is an immersive wine tasting that is equal parts science museum, tasting room, and amusement park.<br><br>Working at Rosé Mansion means being a part of an ultra-high energy workplace that runs at a ludicrous speed. Founded by seasoned entrepreneurs with decades of combined experience in the wine, marketing, and event spaces, Rosé Mansion is a one-of-a-kind concept running on a large scale. That’s why we’re looking for incredibly motivated individuals to help us innovate on the fly. You’ll work hard but you’ll be part of a team of super fun and motivated people who love a challenge.<br><br>About the Job:<br>Reports to: General Manager & Experience Manager<br>Location: NYC Rosé Mansion<br>Start Date: Week of May 21st<br><br>We’re looking for charismatic storytellers, performers, educators, and comedians. Basically, if you love to talk and connect with people and you want to work hard and play in one of the coolest experiences ever built – this job is for you. As a Mansion Ambassador, you get to showcase your personality while dropping some serious wine knowledge. You love a challenge and you’re quick on your feet - the mansion is full of surprises! You have a sunny disposition and you’ll make sure every guest leaves with a smile and a new appreciation for rosé.<br><br>Special Bonus Points for past experience as:<br><br>An actor/performer<br>A Disney employee<br>A teacher<br>A camp counselor<br>Winery Tasting Room Experience<br>Museum Guide<br>What you’ll offer us:<br><br>Longevity- we’re an experience, not a pop-up!<br>Must have flexible daytime availability (including weekends). Our busiest hours are during nights and weekends.<br>Can-do attitude and a positive outlook<br>Team player<br>Must be a greater New York City resident -- or be able to reliably get to New York.<br>Must be able to work in the U.S.<br>Must be 21 years old<br>After applying through the link, send us a link to a short YouTube video of yourself (2 minutes or less) telling us why you want to work for the Mansion and one special skill you could add to the team. Then paste the link in the application below. It’s really that simple.<br>What we’ll offer you!<br><br>A unique opportunity to help us build and shape a culture that prioritizes;<br><br>Personal and professional development for every team member - we know that most of our team members will be actors so we’ll be offering training that will help you with public speaking, stage and vocal presence amongst other things!<br><br>Innovation - we want your crazy ideas<br>Supporting the underdog - we prioritize scrappy entrepreneurs<br>Celebrating YOU! We have a Mansion - let us host your birthday party, anniversary, engagement or getting booked on Broadway!<br><br>Mondays can be fun too! We have created experiences for our employees that get them out of bed on Mondays - and we’re not stopping there!<br>Medical, 401(K), commuter benefits (paying full price for late trains won’t be your thing), monthly allowance to continue to explore the immersive/pop-up scene and a generous paid time off package for you to live your best dreams outside of work!<br>Bi-weekly sip and learns - Impress your friends (and dates) with your wine knowledge. We’ll have producers and industry experts teach you what they know about wine, regions, and grapes!<br><br>Physical Demands: Must be able to perform a variety of physical activities including, but not limited to, standing for long periods of time, climbing, walking, bending, reaching, and lifting up to 50 lbs. Ability to carry and lift cases of wine. Repetitive hand and wrist motion may be required. Shift Flexibility: Must be able to work different shifts, including holidays, nights and weekends. Rose Wine Mansion is posting their hospitality jobs on Harri. See what we’re all about.